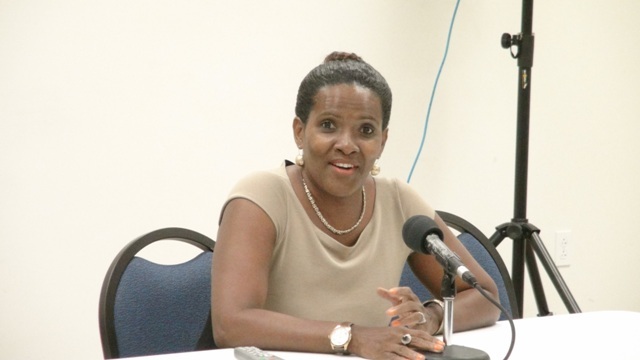 NIA CHARLESTOWN NEVIS (OCTOBER 28, 2015) — Head of the Small Enterprise Development Unit (SEDU) in the Ministry of Finance on Nevis Catherine Forbes told small business owners who have graduated from the unit’s Quick Books Accounting workshop that they should take advantage of the incentives the unit offers in order to computerise their businesses. Forbes urged the small business owners during the closing ceremony of a Nevis Island Administration (NIA)-sponsored two-week training course on Quick Books Accounting. The computerised accounts management system will equip them to better manage the finance aspect of their businesses and eventually leading to expansion. 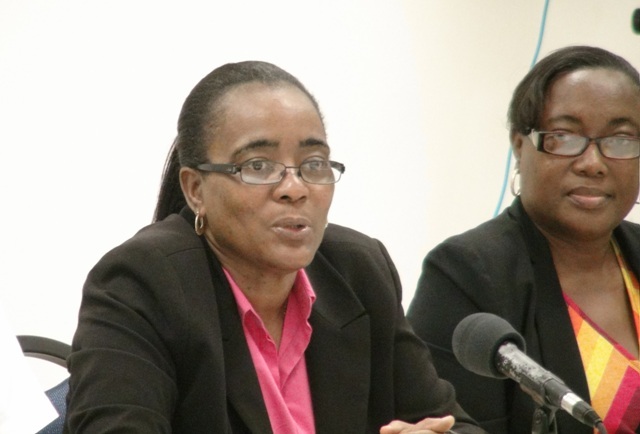 The ceremony was held at the Nevis Disaster Management Department’s conference room at Long Point on October 23, 2015. “At SEDU, we do offer incentives to small businesses, so for those of you who wish to purchase, you can call on us and we will grant you some concessions so that you can get those computers at a more affordable rate, so that you can fully-computerise your business. “We also offer small loans and so for those of you who may not have the funds upfront, right now to purchase, we can also assist you in that area,” she said. Forbes noted that not having a computer should not serve as a deterrent from the graduates’ implementation of what they were taught about Quick Books Accounting. She explained, that once SEDU trained the small business owners, the unit would do all it could to provide support to make sure they had the necessary tools to grow their businesses so that that the training they received would not be in vain. The SEDU Head applauded the graduates for their enthusiasm during their training and described them as being eager to learn during the sessions. She stated that from her assessment, most of them had grasped much of the concept of Quick Books Accounting but with constant practice she was confident they would eventually master the skill. Facilitator for the training workshop Alexa Pemberton called on the graduates to utilise the tools that they were given, to make sure their businesses grew from micro to medium and eventually to large. She said during the training sessions the focus was on understanding the computerised record-keeping accounting system that would better able the business owners to have proper control of their finances and the case flow in and out of their businesses. Meantime, course participant Veta Morton on behalf of the 13 participants thanked those who made the training possible. Speaking about her personal experience, Morton, said when she signed up for the training she had reservations because she never liked accounting but decided to rise to the challenge. She said the facilitator created an environment which made it an enjoyable and easy learning experience in which she was able to learn with very little difficulty. 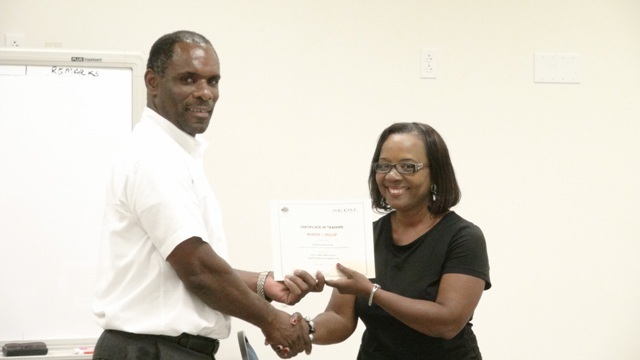 At the end of the ceremony, Permanent Secretary in the Ministry of Finance Colin Dore presented participants with a certificates of completion for display in their businesses to show that they have the tools necessary to grow their business.